Environmental Health and Safety Training | Biomax Environmental Inc.
BioMax Environmental’s Senior Certified Industrial Hygienist (CIH) and technical staff provides EH&S training to our clients and technical communities on a regular and ongoing basis. Solano Community College – Fundamentals of Industrial Hygiene, Health and Safety Management Programs. University of California Berkeley Extension –, Advanced Environmental Law; Hazardous Materials Management; Hands on Compliance I and II; and Management and Administration of Health and Safety Programs. Center for Occupational and Environmental Health (COEH) – Comprehensive Review of Industrial Hygiene (5 day CIH Exam Preparatory course); Fundamentals of Workplace Safety, Management of Pesticide Contaminated Hazardous Waste Sites. At BioMax Environmental, we pride ourselves in providing specialized training for our clients at their facility / job site as well as at our SF Bay area offices. Since BioMax staff are all field scientists who actively practice industrial hygiene and environmental consulting on a daily basis, we are uniquely qualified to provide technical training for our clients, to trade associations, and to professional organizations with emphasis on our real-life technical experience. University of California’s Center for Occupational and Environmental Health (COEH). Comprehensive Review of Industrial Hygiene – A five-day course focusing on the fundamentals rubrics of Industrial Hygiene for students preparing to take their exams in the comprehensive Practices of Industrial hygiene through the American Board of Industrial Hygiene (ABIH). Solano College: Faculty member of Solano College’s Trade and Technical Division. Teaching semester courses entitled: Introduction to Industrial Hygiene and Organization and Administration of Safety Programs. Courses focus on the practical applications of industrial hygiene strategies and safety management issues surrounding the public and private industry sectors. University of California’s Center for Occupational and Environmental Health (COEH). Fundamentals of Workplace Safety – A two day course focusing on the historical and current practices employed in controlling worker exposures to hazardous physical and chemical substances. University of California Berkeley Extension: Management and Administration of Health and Safety Programs – A two day intensive course focusing on the practical aspects of identifying, developing, and managing effective health and safety plans required in the workplace. University of California Berkeley Extension: Advanced Environmental Law – Lecturer during a four day intensive course presenting a comprehensive framework for evaluating and interpreting hazardous materials and worker protection laws, as well as detailed reviews of specific regulatory requirements. University of California Berkeley Extension: Hazardous Materials Management, Hands on Compliance I and II – A series of classes covering compliance strategies and “hands-on” implementation techniques designed to satisfy environmental health and safety (EH&S) requirements. Particular emphasis given in the development, implementation, and maintenance of corporate EH&S programs. University of California Santa Cruz Extension: Hazardous and Toxic Materials Regulatory Framework – A four day intensive course over viewing hazardous materials and waste regulations and requirements on a federal, state, and local level. University of California’s Center for Occupational and Environmental Health (COEH). Pesticide Control strategies and Personal Protective Equipment – A two day course focusing on the hazard controls and health and safety issues anticipated during the remediation of sites and facilities which have been impacted by pesticide contamination. Hazardous Waste Operations and Emergency Response (HAZWOPER). Mr. Polkabla regularly develops and conducts client specific HAZWOPER training and related hazardous material courses. Such training includes 40-hour HAZWOPER, 8-hour Supervisor, 8-hour Refresher courses. California Unified Program Annual (CUPA) Annual Conference 2012. Current Practices in Methamphetamine Inspection, Assessment Sampling, and Clean-up Procedures. American Society of Safety Engineers (ASSE) Crystalline Silica Health Hazards in Construction. Department of Toxics Substances Control (DTSC). AB1078 Methamphetamine Contaminated Property Cleanup Act of 2005 Implementation Clinics presented in Los Angeles and Sacramento Current Practices in the Assessment and Control of Contaminated Sites. Environmental Justice Drug Lab Pilot Project. Advisory committee member to the Department of Toxics Substance Control regarding setting appropriate assessment and cleanup procedures pertaining to methamphetamine contaminated properties. Property Management Associations and Real-Estate Advisory Group. Strategies for the recognition and proper management of microbial contaminants found within real estate properties. Business Owners and Managers Association (BOMA). Fundamentals of Indoor Air Quality; and Current Issues in Ergonomics. International Facilities Manager’s Association (IFMA). Current Strategies for Managing Indoor Air Quality. Concrete Modification Contractors Association (CMCA). Health and Safety Issues Surrounding the Management of Lead In Construction. Construction Contractors: Management of Indoor Air Quality through the Design and Selection of Building Materials. Alburger, Basso de Grosz, Inc. Insurance Broker Risk and Loss Control Management in the Workplace. S. J. Amoroso Inc. Managing Lead and Asbestos on Construction Projects and in the Workplace. Engineering Contractors Association (ECA). Mold Awareness Training, Lead Hazard Awareness within Construction Projects and in the Workplace, Respiratory Protection. American Welding Society. Hazard Awareness and Safety Training as pertaining to welding and machine shop operations. Construction and Demolition Contractors. Lead in construction compliance and lead awareness training during demolition activities for site – specific activities. Microbial Restoration Contractors. Microbial awareness training and safety procedures/methods employed during microbial clean-up and abatement activities. 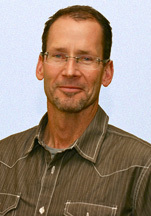 Mr. Michael A. Polkabla, CIH, REA is the Senior Certified Industrial Hygienist with BioMax Environmental and has over 20 years of professional experience with training in northern California. Please feel free to contact us to discuss your project specific compliance needs in the field of environmental health and safety training.